My earlier post on 10 Solid Tips to Safeguard Your Facebook Privacy 10 Solid Tips to Safeguard Your Facebook Privacy 10 Solid Tips to Safeguard Your Facebook Privacy Read More was one of the most popular MakeUseOf posts in 2009, indicating that users are seriously concerned about their privacy on the world’s largest social network. However, Facebook has updated their privacy settings and philosophy since then, which brings us to this updated guide to Facebook privacy. In this Part 1, we will cover 8 steps to reset Facebook privacy settings – covering privacy in the context of search visibility, photos and videos, relationships and contact information. Everyone means everyone on the Internet, including search engines, including any user not on Facebook. Friends of Friends means all friends of everyone you have confirmed as a Friend. Only Friends means only those people you have confirmed as a Friend. The Custom setting is used to tweak privacy by including or excluding specific friends or set of friends using Friend Lists. Each section is quite self-explanatory, and it is a good idea to review your privacy level settings for each item in these sections. Key settings affecting privacy are discussed in the rest of this guide. If you have not yet logged into Facebook after the privacy changes in December 2009, you will be shown a “Privacy Transition Tool“ as shown below. If you have already logged in and used the tool, skip this and proceed to the next step. On the second screen of the tool, do not accept the default suggestions provided by Facebook. For all options, to reset Facebook privacy settings just select the Old Settings option on the right as shown above, select Save Settings, and finish the Wizard. Be aware that even if you do this, several privacy settings are changed by default, so read on! Friend Lists continue to be the bedrock of your Facebook privacy. 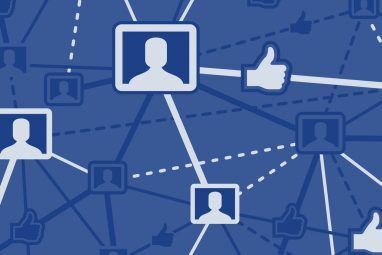 Creating and using Friend Lists wisely will make a huge difference in how easily you can control your privacy on Facebook. 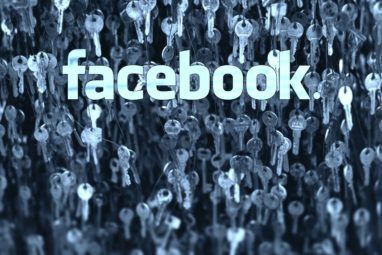 If you are not yet using them, create them right away, as explained earlier 10 Solid Tips to Safeguard Your Facebook Privacy 10 Solid Tips to Safeguard Your Facebook Privacy Read More . If you have already created them, this is a good time to review them. I find it most convenient to create buckets of Friend Lists such as Family, School/College friends, Colleagues, and Online Acquaintances but you are free to use whatever model you choose. There are two separate settings for controlling your visibility when someone searches from within Facebook and from other search engines like Google. Access these settings from Privacy Settings > Search. The first setting is for searches within Facebook. Change the default Everyone to Only Friends if you want only your Friends to get your information via searches in Facebook. Facebook now considers your name, profile picture, gender, city, friend list, and fan pages as “publicly available information”. This means by default when someone searches Google with your name, they can see this information. Uncheck the Allow box for Public Search Results to prevent Googlers from seeing this information. There are no changes to Photo Album privacy settings except for the Profile Pictures Album. To set privacy for each of your Photo Albums, go to Privacy Settings > Profile Information, and click Edit Settings for Photo Albums. You will be able to choose a privacy level for each of your photo albums as before. Earlier, all your profile pictures were visible to all your friends. Now, after the privacy changes, you can also set a privacy level for the Profile Pictures album. Note that your current profile picture remains visible to all your friends. People are often embarrassed when their friends tag them in compromising photos or videos and these become visible to other folks. To control who gets to see photos and videos in which you are tagged by someone else, go to the Privacy Settings > Profile Information section, and choose the privacy setting you wish. The Custom setting allows you to use your Friend Lists, so you can either include specific Friends or exclude Colleagues/Online Acquaintances from seeing these tagged photos/videos. Note that this does not stop announcements with a preview thumbnail photo from appearing on your wall. To prevent these, read on. Go to Settings > Application Settings from the top menu and click Edit Settings for the Photos application. In the dialog box, select Additional Permissions. Under Photos has permission to:, uncheck the Publish to streams box. Do the same for the Videos application. This will stop those wall announcements showing preview pictures/videos in which you are tagged from appearing on your wall. Many people don’t want their relationship status and breakups visible to others. To control who sees your Family Members, Relationship Status, Interested In, and Looking For information, go to Privacy Settings > Profile Information and choose the desired privacy level for Family and Relationship. If you want to set it to Only Me, choose Custom and then select Only Me from the dialog box. Similarly, you should share your contact information cautiously, especially phone numbers and email addresses. Go to Privacy Settings > Contact Information and select privacy levels for each item. You can restrict phone number and email address visibility conveniently using Friend Lists. In the upcoming Part 2 of this guide, we will cover steps you can take to reset Facebook privacy settings in the context of applications, friends, news feed, wall posts, groups, ads, and quitting Facebook. Have questions or other tips to share? Shout out in the comments! Good article. Thanks for sharing. Your posts are just amazing useful! Is there a way to selectively block the "chat" window when you are on line? There are a couple of friend, truly are friends, that are almost constantly on facebook and who jump on the chat function whenever I log on. I would like to control this by being able to decide when I am available for a "chat' myself. I left Facebook because I couldn't figure out how to hide my name, city, relationship and friend list from searches, applications and random people. How do I prevent a wall-to-wall from showing on everyone's page? do you have any tips on removing the green "recent activity" posts on the profile pages? there used to be a way to turn these off, but i haven't found it since the switch. it's annoying to have to go back to your profile page and delete them every time you post a note on someone else's profile page. THANKS!!! @Kristy: Please see #12 in Part 2. I am concerned about Groups. When I'm invited to join one, a message appears saying something to the effect that joining the group will give Facebook permission to pull all my information and that of my friends for whatever purpose they want. So I never join groups or become a fan. But somehow I have become a member of three groups. Maybe I did it accidentally. I can't find any way to unjoin them. Is there a way? Yikes. I do not recall ever seeing that message when I joined a group. Have I just missed this? I did see a rather horrifying similar thing when looking at privacy settings -> applications and websites->what your friends can share about you which gives FB the right to pull off your info for applications. I turned that off. I'm glad I'm on FB (so far), but besides it's bad interface, they really seem to have messed up privacy issues, whether deliberately or not, I don't know. This is kind of like paypal, where they try to force.deceive you into using their credit card. I just ran across this when starting to buy something from Sears the other day, if you select paypal and don't watch carefully, it sets up paypal's credit card as your default method of payment ad infinitum. Excellent tool. Thanks a lot for taking the time not only to explain, but to respond to further questions; we really needed this. My biggest problem is hiding my friends lists. I have different groups of friends, clients, suppliers etc and I do not want them to see each other. I sometimes click on other peoples profiles and cannot see their friends. I have yet to find out how to hide my friend's lists from the general public and from my own different groups of friends. Can it be done and how? Nice article. @Martin: Please see #10 in Part 2. In terms of privacy settings on Facebook, what was that controversy all about last year regarding the use of people's Facebook photos in advertising (without permission)? Was it just a viral rumour or was it real? Did it relate to third-party or Facebook advertisements or both? Is this something to do with why the privacy settings and philosophy have now been changed? @Simon: Please see #15 in Part 2. When is part 2 of the guide going to be publshed. If it already has, please provide a link. mahendra, so you are saying that right now there is no way we can prevent our comments on other people's wall or links from showing up in all our friends newsfeed - is that correct? Earlier if I commented on a friend's wall, it used to show up only in the news feed of mutual friends. I got a shock yesterday when I found out that a conversation I was having with a friend on her wall was available to everyone of my friends on their news feed though a majority of them don't know this friend at all. If there is some way of fixing this please let me know. I would be so grateful! @suffering: That is not correct - please read comments above. If your friends can read the comments you posted on a friend's wall, it means those friends have access to both your Wall and your friend's wall (her Wall permission may be set to "Everyone"). 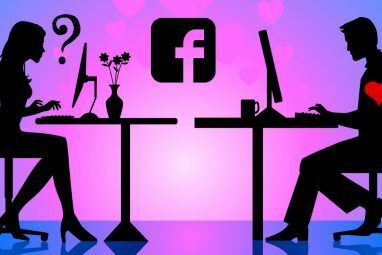 I'm a Facebook newbie, and I have tried to be careful about privacy. However, there are some items I'd like Everyone to see if they wish. I have followed Facebook's directions to make my Photo albums visible by Everyone: the individual albums are set to Everyone, and the Settings->Application Settings-> Edit Settings for Photos is set to Everyone. Yet only Friends can see my Photos tab. Any idea what I am doing wrong? Thanks. Fan pages and Friends were always visible through google. Say you had that stuff hidden on facebook, if you googled yourself (if you allowed yourself to be googleable) then anyone could see that stuff. Wrong. You used to be able to block picture, friends, and any other information from searches via Google. You just had to have your settings correct. People are not getting upset over this stuff for nothing. It's why my face does not show in my profile picture now. In earlier privacy settings, u were not visible in neone's frinds list by a kind of setting..bt nw its nt possible nemore..is there a setting fr tht?? @Swati: Friend lists are discussed in the next post, but no, you do not have any control over your visibility in your friends' friend list. Folks like us will always take privacy seriously. What's sad is that we're the people who will have to endure the endless rantings about how HORRIBLE Facebook is when many of our friends become victims to identity theft. If I was a criminal, I'd be rubbing my hands with glee! You can NOT hide your friends list. Also you cannot hide what fan pages you joined. You USED to be able to hide your friends list. Even worse .. anyone with a FB account can see your friends AN your friends friends also .. I am not sure why you cannot hide your friends, memberships, etc... really bothers me. Someone mentioned it had to do with some aspect of advertising. Does that make sense to anyone? Excellent atricle, I would stress though to create different lists say your friends, professional, personal friends, family, people you only play games with etc. Then add to the individual lists every individual. You can then set levels of privacy BUT exclude certain lists from access. For example, your game friends who you may not know personally could be excluded. Does anyone know how to keep your activity from appearing on the newsfeed? I don't want everyone to know when I comment on something. The old settings had a place for you to disable it, and now I can't find it anywhere! Nevermind, just read the other comments... they really need to fix that. It's ridiculous! This is a great article Mahendra but I was wondering if you knew of a way to hide the pages I am subscribed to from the public profile. I have looked and looked everywhere but I can't find an answer. @Sabrina: Thanks. I'm afraid the answer is it's not possible. As mentioned in #4, fan pages are now considered publicly available information by Facebook, and there's no way of hiding them. Facebook is designed for advertisers to get to KNOW you. Very helpful article, but what I'm still confused about with the new Privacy settings is that even though I've made all the changes I can so that my Profile picture should only be visible to friends, when I use the "Preview My Profile" button to see what my Profile would look like to "everyone else" (ie. people outside my network of Friends), the profile picture is still showing. Has any found a way of having no image showing in the Profile? I feel very strongly that we should have the right to having a profile pic that only our friends see. @Sam, as mentioned in #4, your current profile picture is now considered publicly available information and there is no way to hide it. This is quite a lot of useful info about Facebook and I'm really glad I found it because I would've never taken time to discover all of this myself. So thank you. I have noticed something that I do not like on FB, I have tried to switch it off but could not find where it's done. For example, when I 'Like' somebody's photo or status, it gets published and everyone can see it. Or when I write a comment on someone's wall it also gets published. How do I stop this? Anyone? @Stanovi, there is no way to stop Comments and Likes from showing up in your news feed. The only thing you can do is manually remove them one by one after they appear. but what i dont like is , when I â€˜Likeâ€™ somebodyâ€™s photo or status, it gets published and 'ALL MY FRIENDS' can see it. Or when I write a comment on someoneâ€™s wall it also gets published and 'ALL MY FRIENDS' can see it. How do I stop this? Of course, that's not quite the whole story, due either to an odd model or bugs. For example, those private photos? If someone commented on it and someone can see the "story" that it happened, then that third person sees a live link to the picture/video and a live link to the entire album from there. I don't believe that there are any settings to prevent this. For that matter, it's not clear whether this is accidental or by design. And of course, there's the issue that you can't hide friends from friends, which is entirely by design. It's also somehow more secure than when you could hide the list. @John: Only those friends you allow access to a photo album will be able to comment on them. Friends who don't have access will not see the comment. If you are referring to photos in which you were tagged, the visibility of the comment depends on whether the person commenting is a mutual friend of both. More on these topics in the next part, where we cover news feed and wall post privacy. Yes, friend lists are now considered "publicly available information". We will see how to reduce its visibility to a certain extent in the next part. You don't have that quite right, but you're close. If you can see a stranger's Wall, you can see "Stranger commented on Other Stranger's photo," if they've commented. This has nothing to do with your relationship with either one or tagging, understand. There are three links in the sentence. Stranger is linked to the profile you're looking at. Other Stranger is linked to the stranger's friend's profile. And the word "photo" links to the picture itself. That last link SHOULD go to a page that says you're not allowed to see it. But the picture isn't secured properly by Facebook. You can see it and its comments, as long as you have that URL. And you can click the album link to see everything else in the set. If all your friends hide their Walls from strangers, you're safe...but what are the odds of making that happen? @John: In the scenario you are describing, it appears that the Stranger's friend has set privacy of their photo album to Everyone, which is why you are able to see it. This is terrific! Thank you so much. I definitely learned quite a bit from this. Your posts are just amazing useful! Thank you, i will tell about this to my friends too! Keep it up! Good article. One change I really like is the ability to control who can see all my old profile pictures. Facebook still doesn't have any privacy controls for which of your friends can see imported stories, which is what I'd really like to see.